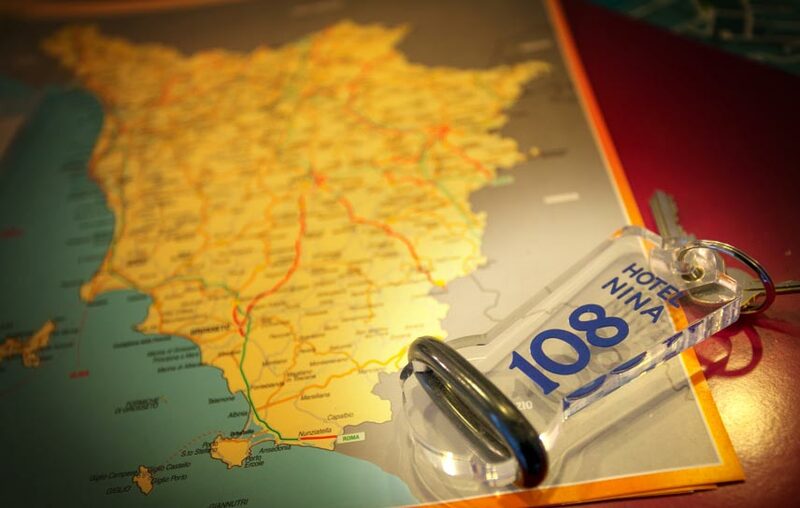 In Marina di Bibbona, on the Tuscan Coast, Hotel Nina is located 50 metres far from a large and sandy beach, and is surrounded by a natural pinewood. The 30 rooms with a view either of the hill or of the beach side, are all equipped with bathroom- shower, hair-dryer, little fridge available to clients, TV Sat (SKY TV with pack Gold), phone, free internet, security box and air conditioned. Clients who choose half-board or full-board treatment, will have their meals at our contract restaurant situated in the pinewood a few minutes to walk from our hotel.